The shootings of tourists on a beach in the Tunisian resort town of Sousse is the second such attack since the March 18 assault on Bardo Museum in the capital city. The Islamic State in Iraq and Syria (ISIS) once again asserted responsibility for the attack that claimed 39 lives and injured 36, mostly foreigners. 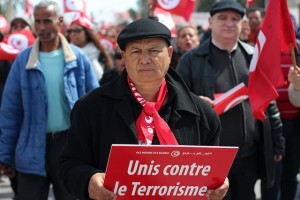 Noureddine Jebnoun, a professor of North Africa Studies at the Africa Center for Strategic Studies, assesses the significance of these attacks and steps that might be taken by the Tunisian authorities to address the challenges of terrorism and youth radicalization. Question: This is the second time ISIS is claiming responsibility for highly publicized terrorist attacks in Tunisia. What is the group trying to achieve? JEBNOUN: Although there is no evidence that the assailant had been in contact with ISIS or had traveled abroad for training, this terrorist group did claim responsibility and there are emerging patterns suggesting some parallels with the attack on Bardo. Two issues are pertinent: first, the attack appears to have been aimed at crippling Tunisia’s tourism sector which has not recovered since the Bardo attack, which left 21 tourists and one security officer dead. It should be noted however that targeting tourism facilities is not a new tactic in the region. This was the preferred modus operandi of Egypt’s Islamic Group during the 1990s. Second, the propaganda that accompanied the attack sought to portray ISIS’s presence and reach beyond its traditional theater of operations in Iraq and Syria and convey an impression of “omnipresence.” This propaganda message was also used heavily after the Bardo attack and it appears to be central to ISIS’s communications. This “growth strategy” appears to seek the displacement of al-Qaeda networks across North Africa and to encourage its branches and affiliates to defect and join the so-called Caliphate. These high profile attacks might therefore suggest growing competition between emerging local branches of ISIS and al-Qaeda in the Islamic Maghreb (AQIM) in North Africa and the broader Sahel region. This goal has been accelerated by the fact that AQIM has faced increasing pressure since it lost its footholds in northern Mali in early 2013. ISIS, nevertheless, faces its own set of challenges. It is under military pressure in the Levant in part due to coalition air strikes and degrees of military action by Iraqi and Kurdish forces and local allies. Additionally, it is becoming more difficult for inspired youth to travel to Syria for training and combat. Consequently, ISIS needs to expand its operations and display its lethality and staying power in what are now considered “provinces” in Egypt, Libya, and Tunisia. Over time, we can expect ISIS to consolidate this strategy as it seeks more self-radicalized youth capable of operating on their own but on ISIS’s behalf. Question: The assailant was described as a normal, modern young student. Are there larger factors that make Tunisian youth vulnerable to terrorist recruitment? JEBNOUN: Most of those who join ISIS or act on its behalf are disillusioned and do not have any real prospects in life. Lack of values and superficial knowledge of religion make these youth a perfect target for radicalization through cooptation, indoctrination, and other methods. ISIS is extremely skilled at exploiting these weaknesses. It is noteworthy that the vast majority of recruits have a tendency of reconnecting with and rediscovering religion. We see similar patterns among youth across the Middle East and North Africa, as well in Western nations. These youth feel alienated toward their governments, which are seen as lacking in credibility. Jihadi discourses and ideology provide an outlet for these grievances. Many of these youth are well educated, with some holding graduate degrees. Yet, facing limited employment alternatives, they feel a palpable sense of hopelessness and lack of self-worth that makes them susceptible to extremism. Jihadi narratives provide further justification and coherence, and violence a sense of power, which replaces the powerlessness of not being able to provide for themselves and their families. In Tunisia these problems are compounded by the socio-economic tensions underlying the difficult and still ongoing transition from autocracy to a fledgling democracy. More than four years after the popular uprising that ousted the dictatorship of Zine El Abidine Ben Ali the government has struggled to address high youth unemployment, fight corruption, and foster trust between state institutions and citizens. It is also struggling to move away from the model of an overbearing and intrusive security apparatus organized around regime survival to a security model based on trust, transparency and the safeguarding of human rights. What these attacks are doing is reviving embedded authoritarian impulses among Tunisia’s elite. If this continues it will only widen the generational gap, deepen mistrust, and return the country to the authoritarian model of the past. Such a climate will ultimately lend itself to more extremism. Question: Given these challenges, what steps should be taken to ensure that Tunisia’s democratic experiment stays on track? Education. Building an educational system that is able to provide youth with critical skills to allow them to better assess information they come across both online and offline. Radical ideologies need to be challenged by knowledgeable religious leaders, educated youth activists and well-informed policymakers. The educational system that prevailed in the early 1960s and late 1970s, that was based on critical thinking was completely dismantled by Ben Ali. Consequently Tunisian youth rely more on memorizing than analyzing and questioning. The Ben Ali regime understood that this kind of educational system would make it easier to maintain control. It also makes youth more malleable to manipulation by extremist messages. Deconstructing narratives of radicalization. Radicalization is more about “who you know.” It leverages feelings of isolation from society and uses indoctrination to fill this void and creates a new sense of belonging. Combating it requires recognition of the role of civil society and larger social movements and the integration of development, education, civil and political rights, common citizenship, and political activism. In the face of internal and external security threats, governments tend to respond by restricting these activities in the name of restoring order. Tunisian authorities must guard against this. The decision by the government, for instance, to shut down 80 mosques without due process will likely feed perceptions of grievance and push militants to operate underground. Security sector reform. Tunisia is emerging from decades of brutal, authoritarian and unaccountable governance supported by a security sector that was organized around protecting the regime, and the personal interests of the ruling elite as opposed to safeguarding the citizens. It will take time to rebuild trust between the security services and citizens and yet such trust is required if the new democratic ethos is to take root. A democratic dispensation cannot be sustained without democratic control of the armed forces and a “reform minded” security sector that has at the core of its culture the concept of “service to people” as opposed to “regime survival.” The authorities should realize that further reform, not less, will ensure more comprehensive security in the longer term. Radicalization cannot be curbed overnight. However, audacious steps need to be taken by the Tunisian government that must empower youth through well-targeted initiatives that would give this most sensitive segment of the society hope and prevent turning young men into vicious killers. Otherwise, organizations like ISIS will continue inspiring those who have lost faith in their society and institutions. If that happens, the hopes and aspirations that inspired the 2011 renaissance in Tunisia will be dashed. Monica Marks, “The repressive instincts of Tunisia’s leaders will only encourage radicalization,” The Guardian, July 1, 2015.